Calling all brewers! Want to show case your craft beer in one of the fastest growing beer connoisseur communities? Register your brewery to reserve your spot at this year’s Pensacola Craft Beer Festival now. Limited food vendors will be chosen for this year’s Pensacola Craft Beer Festival. Acceptance will be based on first come, first serve and food type exclusivity. Apply to become a food vendor now. Limited arts & crafts vendors will be accepted in to this year’s Pensacola Craft Beer Festival. Availability will be based on first come, first serve. Apply to become an arts & crafts vendor now. 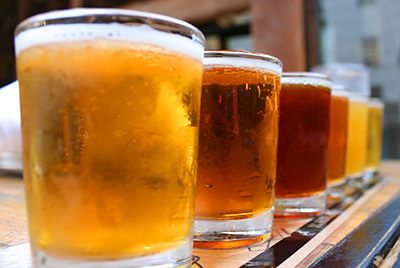 Several volunteers are needed for this year’s Pensacola Craft Beer Festival. We love our volunteers and know how to show it. Sign up today to get involved in one of the most fantastic events this summer!